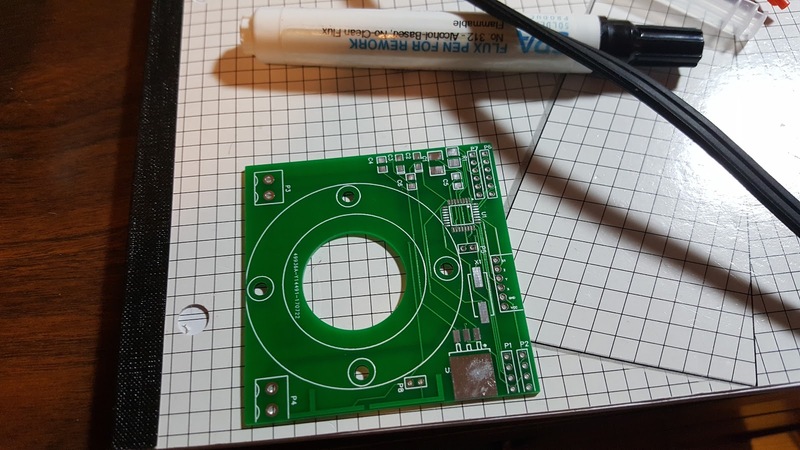 A flux pen with a fiberglass tip was purchased to rough up the solder pads and apply flux. All the pads which would receive solder paste were given flux. Solder paste was purchased for the surface mount components. Only the processor required this method but it seemed logical to attach all the surface mount components this way. The through-hole components will still have to be soldered by hand with a soldering iron. 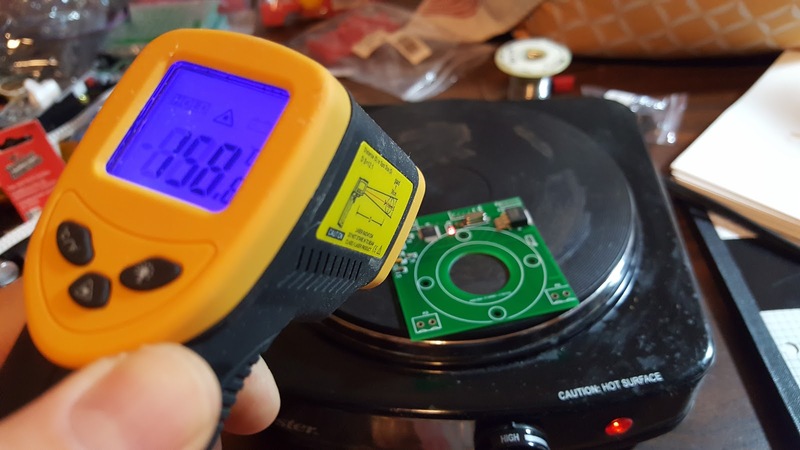 A hot plate was set to HIGH heat and the board temperature was monitored with an infrared thermometer. 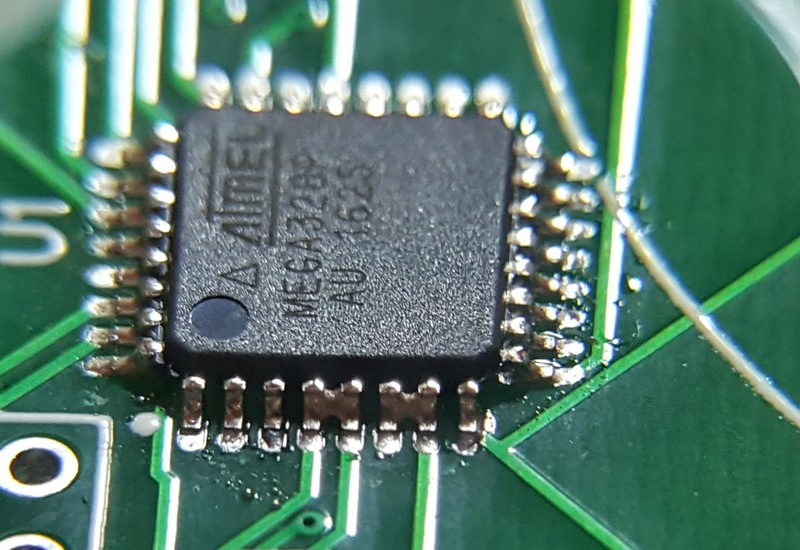 It turned out that the best way to monitor the board would have been to simply watch for the solder paste to liquify since the change was obvious to the naked eye. 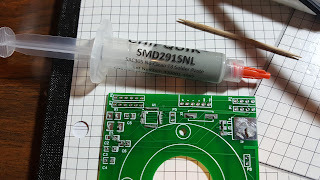 Too much paste was applied so there were a couple solder bridges on one side. 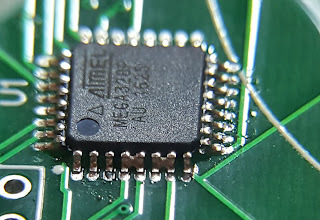 This should be easy to correct with a soldering iron and possibly a desoldering wick or pump.